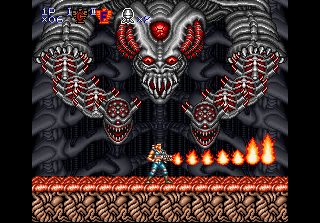 This monstrous creature is often mistakenly called Red Falcon, a misconception that seems to have started with Contra III, where Gyaba is seen in the intro sequence. This also caused people to view him as the leader of Red Falcon. 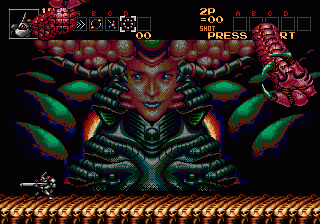 Another thing contributing to this idea is that he's traditionally been the last boss in one of the final stages. He's also gone under the name "Jagger Froid" in the west. 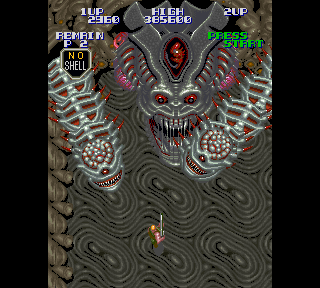 A little known fact is that the idea for this boss came from Battlantis, another shoot-em-up game released by Konami one year before Super Contra. 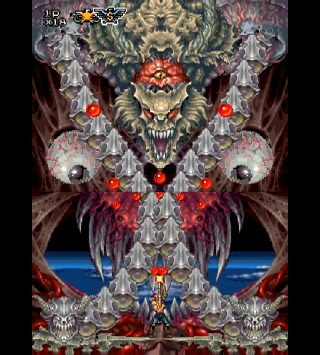 You can watch a video of this boss battle here. Gyaba makes his first appearance. 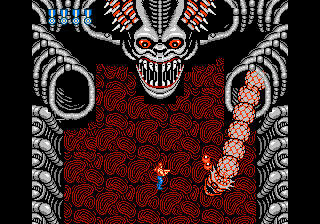 Here he is in the NES version, but no longer the final boss. This time, once you blow the head to pieces you have to face his brain! Colonel Bahamut's meddling with the alien DNA seems to have created a radically different, mutated version of Gyaba! 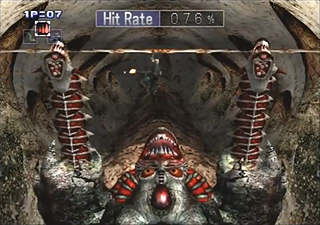 Death comes from below as the battle takes place inside Lance's body. 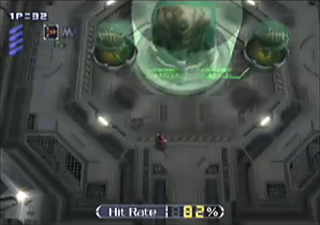 A badly damaged Gyaba has been preserved by Neo Contra and turned into a cyborg. Perhaps the fiercest incarnation yet. The arms can stretch much further this time. 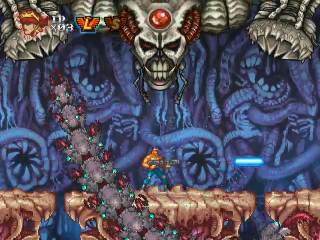 Very reminicent of the old Contra III look.